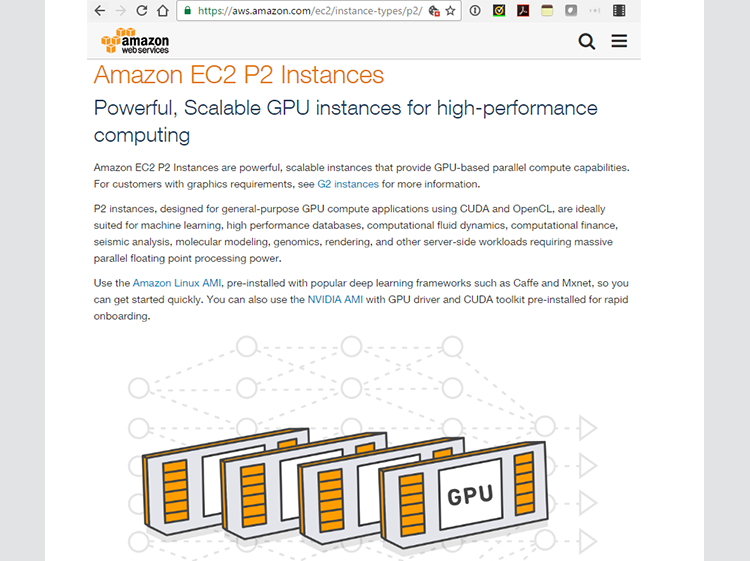 Amazon Web Services announced the availability of a new GPU instance type for Amazon Elastic Compute Cloud (Amazon EC2) that provides up to 16 NVIDIA Tesla K80 GPUs -- the most powerful GPU instances available in the cloud. The largest P2 instance offers 16 GPUs with a combined 192 Gigabytes (GB) of video memory, 40,000 parallel processing cores, 70 teraflops of single precision floating point performance, over 23 teraflops of double precision floating point performance, and GPUDirect technology for higher bandwidth and lower latency peer-to-peer communication between GPUs. 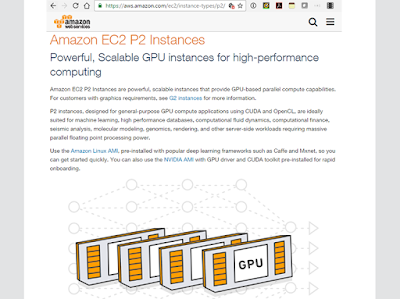 P2 instances also feature up to 732 GB of host memory, up to 64 vCPUs using custom Intel Xeon E5-2686 v4 (Broadwell) processors, dedicated network capacity for I/O operation, and enhanced networking through the Amazon EC2 Elastic Network Adaptor. The new P2 instances are designed for compute-intensive applications that require massive parallel floating point performance, including artificial intelligence, computational fluid dynamics, computational finance, seismic analysis, molecular modeling, genomics, and rendering. 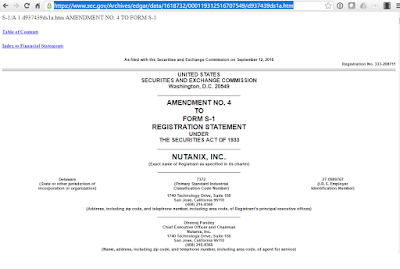 Shares in Nutanix (NTNX) soared during an initial public offering (IPO) on Friday, ending the day up 130% over its initial price. The company offered 14,870,000 shares of Class A common stock at a price of $16.00 per share. 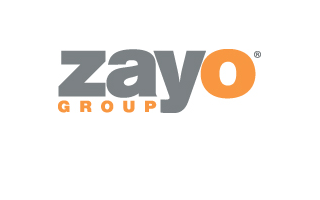 Zayo announced that a major wireless carrier has selected Zayo it to deploy C-RAN connectivity in two major metro areas. The identity of the customer was not disclosed. A new Equinix Internet Exchange is slated to open in Helsinki, Finland in Q1 2017. Equinix currently operates six data centers in Finland, all in the Helsinki metropolitan area, which offer campus and metro-wide connectivity. The company noted that its Helsinki data centers are also facilitating Internet connectivity growth locally by anchoring the new Cinia submarine cable system, C-Lion1, between Finland and Germany, providing a bridge between Russia, the Baltic countries, and network nodes in Central Europe. With a record-breaking capacity of 144 Tbps and round trip rate of less than 20 milliseconds between Helsinki and Frankfurt, Equinix customers will be able to take advantage of enhanced international capacity, network latency and performance, as well as Finland's climatic and competitive power pricing benefits. Google is consolidating its broad portfolio of cloud products, technologies and services under a single brand: Google Cloud. This includes user-facing collaboration and productivity applications (now named G Suite), all Machine Learning tools and APIs, enterprise maps APIs, and the Android phones, tablets, and Chromebooks that access the cloud. 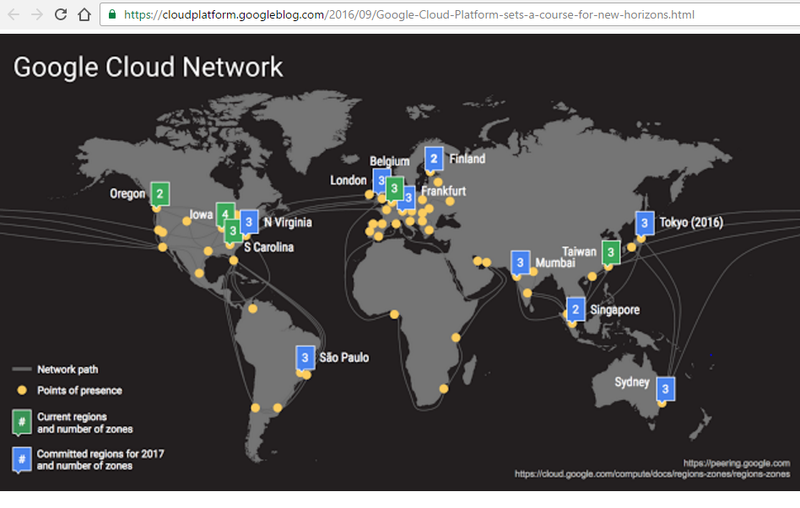 Google announced the locations of eight new Google Cloud Regions — Mumbai, Singapore, Sydney, Northern Virginia, São Paulo, London, Finland and Frankfurt. Google plans to announce more regions next year. 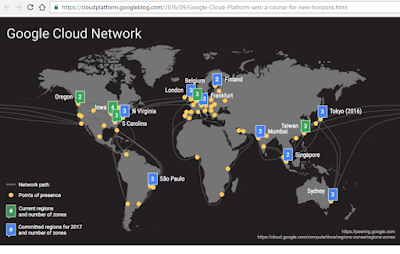 The Google Cloud Platform now serves over one billion end-users through its customers’ products and services. Kubernetes version 1.4 has just been released, improving Cluster Federation to support straightforward deployment across multiple clusters and multiple clouds. The company is updating Google Container Engine (GKE) to this new version. The newly re-branded G Suite (formerly Google Apps for Work) includes Gmail, Docs, Drive, Calendar, Hangouts, etc. The fully-managed Google BigQuery data warehouse has been significantly upgraded to enable widespread adoption of cloud data analytics. BigQuery support for Standard SQL is now generally available. Cloud Machine Learning is now available to all businesses, and can be integrated with data analytics and storage cloud services such as Google BigQuery, Google Cloud Dataflow, and Google Cloud Storage. Adding Customer Reliability Engineering (CRE) support. This includes Google engineers who integrate with a customer’s operations teams. AWS disclosed plans to open a new data center availability region in Paris, France during 2017. This will be the fourth AWS Region in Europe. 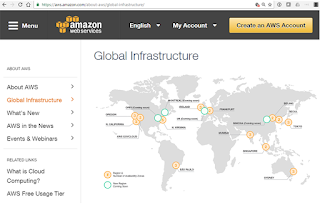 AWS data centers are currently running in Ireland and Frankfurt, Germany. An additional data center in the UK is expected to launch in the coming months. Nokia has expanded its Cloud Packet Core offering with a solution tailored specifically for private LTE networks deployed by global enterprises, the public sector and smaller operators. Nokia said its new Cloud Packet Core solution provides the scale and performance for MTC and mobile broadband users and devices, supporting 50,000 simultaneous access users/devices and 100 eNodeBs. The new offering leverages the Cloud Mobility Manager (CMM) and Cloud Mobile Gateway (CMG) software from Nokia's Cloud Packet Core solution, which is already deployed by the world's largest communications service providers. "Our Cloud Packet Core solution leverages a native cloud architecture to purpose-fit smaller business and critical communications networks without sacrificing the ability to scale as needs dictate. All operators - regardless of size - get the same software foundation, rich capability set, field-proven software and high reliability. This allows them to fully embrace LTE today - and 5G in the future - to assure an optimal, secure and reliable experience and fully realize new mobile broadband, IoT and MTC opportunities for their business," stated Sri Reddy, general manager of IP routing business at Nokia. IBM agreed to acquire Promontory Financial Group, a global market-leading risk management and regulatory compliance consulting firm, to expand the deep industry expertise of Watson. IBM said Watson’s cognitive capabilities will directly address the massive operational effort and manual cost of escalating regulation and risk management requirements. Promontory's team of 600 professionals will train Watson to help manage financial risk and compliance. More than 20,000 new regulatory requirements were created last year alone, and the complete catalog of regulations is projected to exceed 300 million pages by 2020. The Microsoft AI and Research Group, which will be led by computer vision luminary Harry Shum, is dedicated "to democratizing AI for every person and organization, making it more accessible and valuable to everyone and ultimately enabling new ways to solve some of society’s toughest challenges." Adobe has agreed to make Microsoft Azure its preferred cloud platform for the Adobe Marketing Cloud, Adobe Creative Cloud and Adobe Document Cloud. 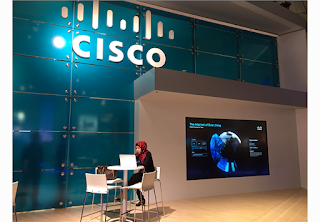 The companies said their strategic partnership will help enterprise companies embrace digital transformation and deliver compelling, personalized experiences through every phase of their customer relationships. Together, the two companies will enable businesses to dramatically strengthen their brands through solutions with Microsoft Azure, Adobe Marketing Cloud and Microsoft Dynamics 365. Microsemi introduced a new family of network synchronization phase-locked loops (PLLs) for Synchronous Ethernet (SyncE), IEEE 1588 and optical transport network (OTN). 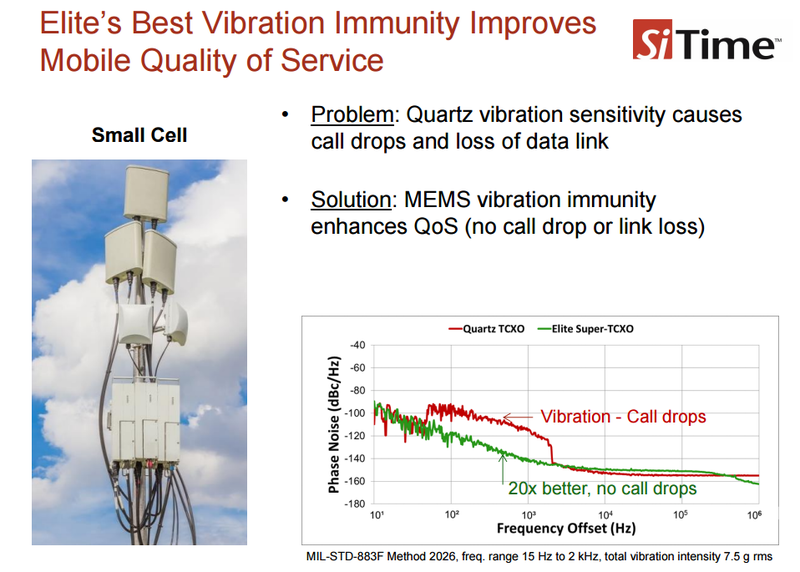 The company said its new miTimePLL new products have one third the jitter and half the footprint of current devices, which, in combination with the company's new miTimePLL technology, is specifically designed to address the demands of phase alignment performance required by networks such as wireless infrastructure. Microsemi's ZL307xx and ZL306xx family of network synchronization PLLs offers 180 femtoseconds (fs) typical jitter, ensuring a single chip, small footprint, low cost synchronization solution for 10GbE to 100GbE applications. These devices come with new features vital for network applications requiring phase alignment, including any-to-any frequency, better than 2 ns input/output (I/O) alignment, embedded 1 pulse per second (ePPS), time of day (ToD) registers, reference/synchronization inputs, and full monitoring and hitless reference switching between GPS/SyncE/1588. Microsemi's ePPS is already providing a simple solution for chassis systems with limited backplane pins by combining phase into a high speed clock, thereby using a single pin, where before two were required. 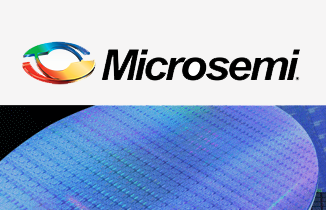 "Microsemi has a long history in IEEE 1588 PLL devices dating back to 2008 with our first product introduction, and our 1588 solutions are widely used within tier 1 telecommunications equipment vendors. 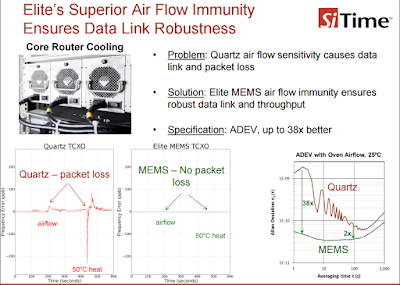 We continue to invest strongly to drive our technologies forward, meeting new challenges to stay ahead of the competition with ultra-low jitter on our new miTimePLL devices—providing a highly integrated, cost-effective solution for our customers," said Maamoun Seido, vice president and business unit manager of Microsemi's timing products. "Customers can remain confident in our capabilities, as these products enable them to handle phase alignment seamlessly within their equipment with a smaller footprint and attractive price point." 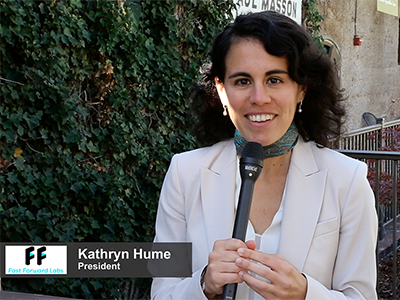 Kathryn Hume, President of NYC-based Fast Forward Labs, discusses the growing impact of artificial intelligence on the world of networking. We're already seeing the first applications, such as resource optimization. Filmed at Net Events' Global Press & Analyst Summit in California. Stuart McClure, CEO and founder of Cylance, discusses the intersection of artificial intelligence and cybersecurity. 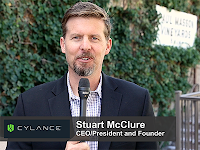 Cylance, which has been selling its AI-based solution for about 2 years, has grown to over 700 employees and about 3,000 customers with some 3 million endpoints. ARM released a new CoreLink CMN-600 Coherent Mesh Network interconnect and CoreLink DMC-620 Dynamic Memory Controller technology enabling the latest ARM-based SoCs to offer unmatched data throughput and the lowest edge to cloud latency in the market. 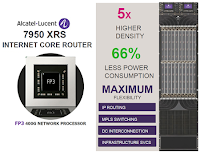 The company said its new on-chip interconnect technology has applicability across multiple markets including 5G networks, data center infrastructure, HPC, automotive and industrial systems. The company expects the initial public offering price will be between $13.00 and $15.00 per share, potentially raising up to $241.5 million for the San Jose based firm. China Unicom selected the Nokia 7950 XRS core router family for additional deployments across China. Financial terms were not disclosed. China Unicom initially deployed the 7950 XRS into metro networks in six provinces - Beijing, Shandong, Jiangsu, Jiangxi, Inner Mongolia and Qinghai - and this year plans to scale out to an additional four including Heilongjiang, Henan, Zhejiang and Hunan to improve speed and response times for the fixed and mobile broadband subscribers. In 2013 China launched its Broadband China initiative to invest $182 billion to boost the speed and quality of Internet services across the country. The aim is to reduce the digital divide by providing businesses and urban and rural citizens with national broadband coverage by 2020. In keeping with this initiative, China Unicom has been continually improving the scale and capacity of its networks. the IC-TROSA project would enable manufacturers to have a higher level of integration for transmit and receive optical components. Integrated Coherent Transmitter-Receiver Optical Subassembly (IC-TROSA) is the evolutionary step that combines Polarization Multiplexed Quadrature (PMQ) Transmitter (Tx) and Integrated Coherent Receiver (ICR) components to create a single integrated optics package. 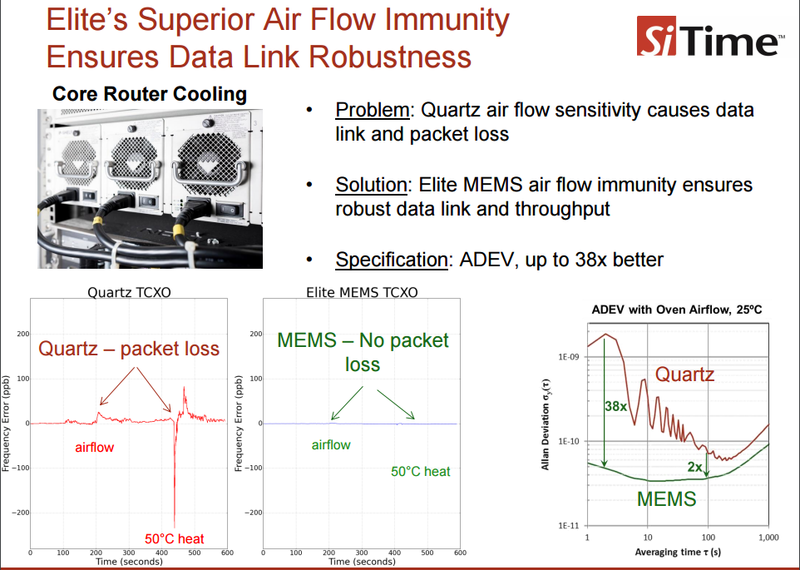 The optical sub-assembly that supports high-bandwidth and high-order QAM operations is suited for data center interconnect, metro and long-haul applications. As module sizes decrease, current coherent optics components need similar size reductions to enable next generation multi-terabit switches, line cards, and transport. Density requirements for next-gen line cards, front-pluggable and future on-board 400G+ optical modules are driving the need for further integration and miniaturization. the CFP2-Digital Coherent Optics (DCO) project will work with other standards bodies to implement coherent modulations formats in CFP modules. The OIF’s CFP2-DCO project includes a way to build address management interface and identify registers necessary to talk to the DSP located in the module, specific to coherent modulation techniques. 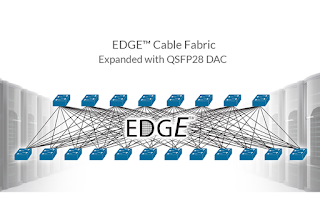 The CFP2-DCO is intended to be used for 100G, 200G or 400G applications for metro, long-haul and data center interconnections and it can support different formats such as DP-QPSK and DP-xQAM. A new 5G Automotive Association has been formed with the backing of AUDI AG, BMW Group, Daimler AG, Ericsson, Huawei, Intel, Nokia and Qualcomm. The mission is to develop, test and promote communications solutions, support standardization and accelerate commercial availability and global market penetration of 5G technologies and intelligent transportation. "We expect 5G to become the worldwide dominating mobile communications standard of the next decade. For the automotive industry it is essential that 5G fulfills the challenges of the era of digitalization and autonomous driving. With the 5G Automotive Association we founded a cross-industry forum that allows us to shape the future 5G technology with leading ICT companies. As a co-founder of the 5G Automotive Association we would be excited to welcome further partners engaged in the automotive industry, the information and communication technologies or mobile network operators in the association," stated Dr. Christoph Grote, Senior Vice President Electronics, BMW Group. The ONOS Project, which develops an SDN control plane for service providers and enterprises, announced its eighth quarterly platform release: Hummingbird. Southbound: Hummingbird expands ONOS to be able to configure and control legacy networks with additional support for Arista and Cisco devices. The Hummingbird release also includes Optical feature enhancements and improvements to OSPF and ISIS drivers. Numerous NETCONF enhancements in ONOS create support for many additional devices. In short, all these enhancements allow ONOS to support a variety of legacy devices to help service providers incrementally deploy SDN. Northbound: Hummingbird rounds ONOS out with new features that improve interoperability and ways for applications to interact with the Northbound protocol through message bus integration (RabbitMQ from ADARA and Kafka from Calix), as well as add more flexibility for intent-based management. Disruptive SDN: In support of disruptive SDN, ONOS continued to focus on scaling views for very large networks and making it easy for applications to be written to benefit from ONOS’ high availability primitives. Hummingbird brings major new features with additional distributed primitives, support for controller to controller peering and enhancements to the P4 driver support. Legacy device support: In support of incremental SDN, Huawei brought in significant YANG modeling and management capabilities at both the Northbound and Southbound interfaces, as well as support for the IEEE Abstraction and Control of Traffic Engineered Networks (ACTN). Broad Set of Use Cases: Hummingbird’s new service offerings and other enhancements enable valuable use cases in the areas of Cloud and SDN. The vibrant ONOS community has already built use case applications upon ONOS with CORD, packet-optical, and SDN-IP peering, and is building new ones in the areas of dynamic configuration and provisioning, and traffic engineering. China Mobile Communications Corporation (CMCC) has joined the OpenDaylight project at the Silver level. Recently, China Mobile released its commercial OpenDaylight-based datacenter SDN controller named “AERO,” currently in trial, and believed to be the first datacenter SDN controller developed by a telecom operator based in China, according to the company and the Linux Foundation. 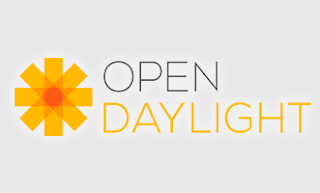 Additionally, CMCC initiated the “SPTN” project within OpenDaylight, which evolves the packet transport network (PTN) toward SDN. China Mobile joins Tencent and Alibaba, also members of OpenDaylight, as part of a growing number of Chinese internet and communications companies that actively participate in open networking projects and leverage open source SDN to support their extreme scalability demands. 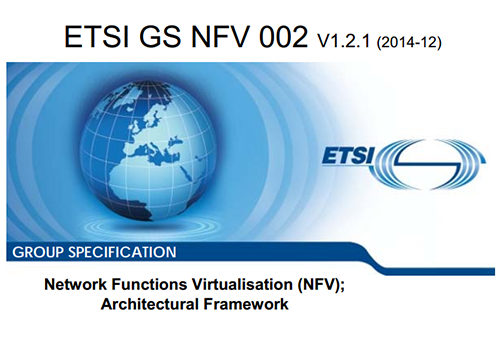 ETSI’s Network Functions Virtualisation (NFV) Industry Specification Group (ISG) announced the publication of NFV Release 2 specifications covering a wide set of functional areas, such as the management of virtualized resources, lifecycle management of both network services and virtualized network functions, network service fault/performance management, virtualized resource capacity management, etc. NFV Release 2 incorporates 11 new group specifications, in addition to the many NFV specifications already published. These detail the various requirements, interface descriptions and information models enabling interoperability of solutions based on the ETSI NFV Architectural Framework. 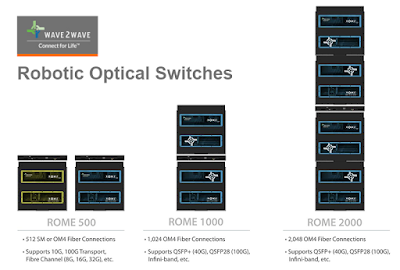 Wave2Wave introduced a QSFP28 copper-based, direct attached cable (DAC) for data centers. 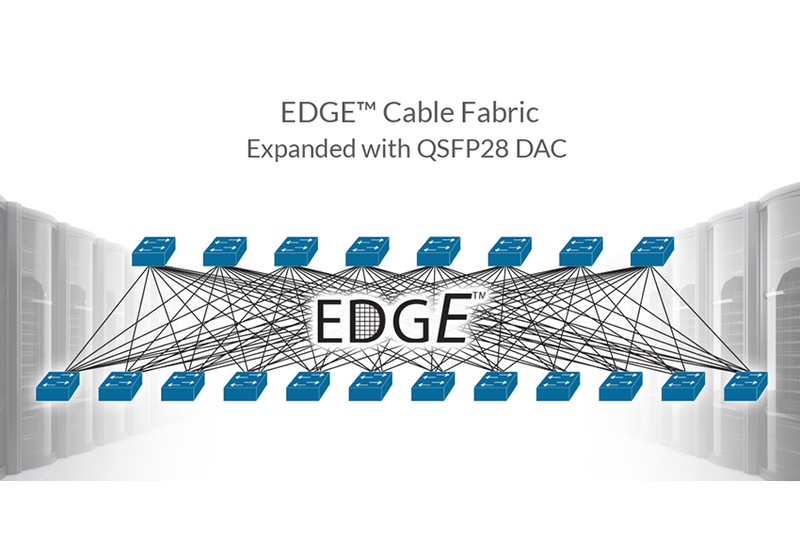 The new product, which expands the company's EDGE cable fabric family, simplifies the cabling for spine-and-leaf, data center infrastructure, and server rack-and-stack environments. The QSFP28 DAC offering supports higher data rates – now up to 100Gbp/s – with near-zero wire speed latency and no power consumption, reducing data center energy use, CAPEX and OPEX. 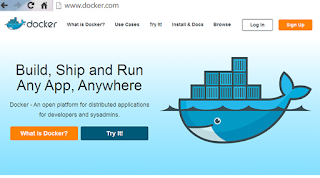 Docker has formed a commercial partnership with Microsoft to enable enterprises to run Commercially Supported Docker Engine (CS Docker Engine) and Docker Datacenter with Windows Server 2016. As part of a new agreement, Microsoft and Docker will make the CS Docker Engine available to Windows Server 2016 customers at no additional cost. Docker Datacenter helps organizations manage heterogeneous environments of Windows and Linux workloads, running in both on-premises and cloud-based infrastructure, such as Microsoft Azure. As part of the commercial relationship, Microsoft will provide enterprise support options for CS Docker Engine, backed by Docker, Inc. The USB Implementers Forum (USB-IF) announced a new USB Audio Device Class 3.0 specification to establish USB Audio over USB Type-C as the primary solution for all digital audio applications, including headsets, mobile devices, docking stations, gaming set-ups and VR solutions. The USB Audio Device Class 3.0 specification makes it easier to support digital audio over USB, add capabilities to reduce power consumption and add support for new features such as hotword detection. It defines minimum interoperability requirements across analog and digital solutions to minimize user confusion when not all hosts or devices support audio consistently. USB Audio over USB Type-C™ allows OEMs to remove the 3.5mm analog audio jack, shaving up to a millimeter off product designs and reducing the number of connectors on a device. Fewer connectors will open the door for innovation in countless ways and make it easier to design waterproof or water-resistant devices. SiTime unveiled a new family of Super-TCXOs (temperature compensated oscillators) and oscillators for telecommunications and networking equipment. The new Elite Platform encompassing leverages the company's MEMS and analog technologies to deliver better performance, higher reliability and higher quality of service than conventional quartz solutions, even in the presence of environmental stressors. In particular, SiTime's ELITE-Platform addresses environmental issues with potential to impact the performance of timing of network equipment in uncontrolled environments such as basements, curbsides, rooftops, and on poles. The company said precision timing components in these systems must now operate in the presence of high temperature, thermal shock, vibration and unpredictable airflow. SiTime's Elite timing solutions are based on its unique DualMEMS architecture with TurboCompensation. SiTime is a wholly owned subsidiary of MegaChips Corporation (Tokyo Stock Exchange: 6875). Microsoft rolled out a number networking capabilities for its Azure cloud service, including advancements to its global server fleet that the company says will improve networking bandwidth performance 33% to 50%. The improvements include hardware technologies such as NVGRE offload, which harnesses the network processing capabilities of the hardware. Windows and Linux VMs will experience these performance improvements while returning valuable CPU cycles to the application. 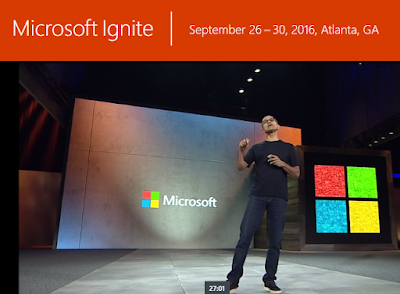 Microsoft said its Accelerated Networking provides up to 25 Gbps of throughput and drastically reduces network latency up to 10x. The new hardware technologies including SR-IOV, which allows VMs to communicate directly to the hardware NIC completely bypassing the Hypervisor’s virtual switch, bringing higher bandwidths and lower latencies, along with reduced jitter and improved Packets Per Second (PPS) performance. With Accelerated Networking, Azure SQL DB In-Memory OLTP transaction performance improved 1.5X. Azure Storage users will benefit from substantially increased IOPS performance based on these advancements, combined with newly developed storage specific offloads. Hardware now efficiently performs data transfers up to the line rate of the NIC. The roll out for Storage will also complete in 2016. General availability of Virtual Network Peering (VNet Peering), which connects Virtual Networks (VNets) in the same region, enabling direct full mesh connectivity. VMs in the peered VNets communicate with each other as if they are part of the same VNet, thus benefiting from high bandwidth and low latency. Hub & Spoke topologies are supported with Transit Routing through gateways. The VNet without a gateway still has cross-premises connectivity via the gateway in the peered VNet. VNet Peering works across subscriptions allowing for simplified service management. New UltraPerformance Gateway SKU for ExpressRoute that supports up to 10 Gbps throughput. This is a 5x improvement over the existing ExpressRoute HighPerformance gateway with a 99.95% availability SLA. 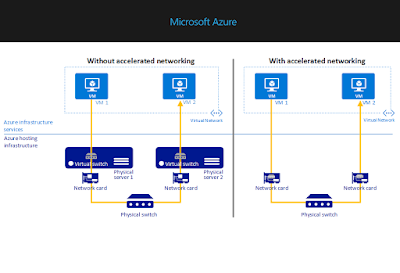 Azure now supports Native IPv6 network connectivity for applications and services hosted on Azure Virtual Machines. New Active-Active Virtual Private Network (VPN) Gateway for the High-Performance VPN gateway SKU is recommended for production workloads. New Azure Load Balancer configurations, including general availability of multiple VIPs on internal load balancers and new port reuse options across public and internal load balancers. Azure will also be previewing multiple IP addresses on a Network Interface Card (NIC) and enabling all NICs on a VM to have a Public IP address on the NIC or through the load balancer. GA release of Azure DNS, enabling customers to host domains in Azure DNS and manage DNS records using the same credentials, APIs, tools, billing and support as other Azure services. Additional network monitoring and diagnostics capabilities. 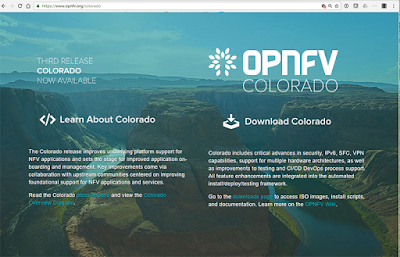 The OPNFV Project announced its third platform release: Colorado. 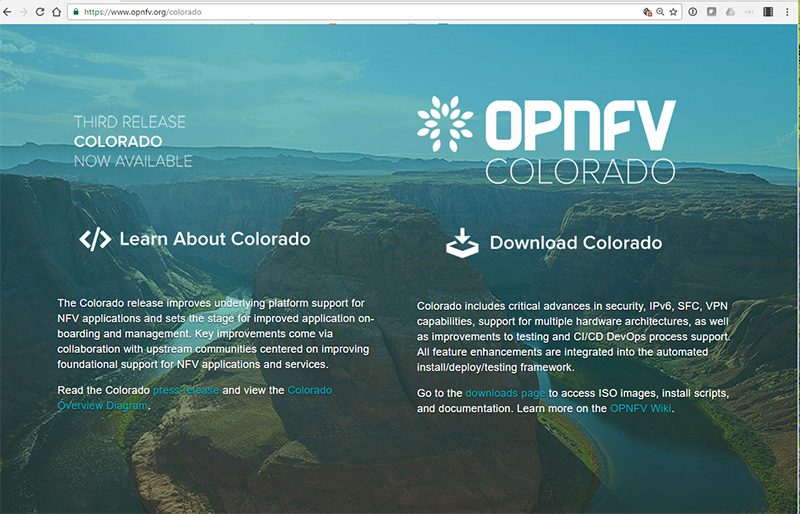 OPNFV Colorado brings advances to accelerate the development of NFV applications and services through key feature enhancements across security, IPv6, Service Function Chaining (SFC), testing, VPN capabilities, and support for multiple hardware architectures. Infrastructure and testing environment advancements. The Phros Test Lab project continues to be a key element of OPNFV release development and validation. Colorado brings increased governance, consistency, availability and quality to the labs, increasing efficiency and ccreating the groundwork for a robust Lab-as-a-Service program. See the full list of Pharos labs --including those participating in Colorado--here. Telefónica has chosen Juniper Networks' SRX Series Services Gateways as its preferred solution for delivering their global network security. Financial terms were not disclosed. 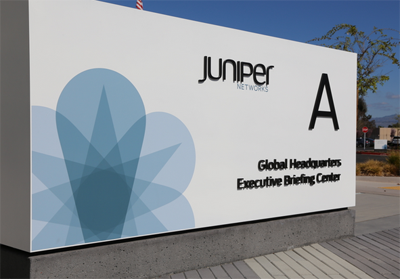 Juniper said its new cloud-based network architecture with integrated security functions will allow Telefónica to scale, automate and simplify its business operations, and improve network performance while future-proofing to enable a software defined secure network (SDSN) where security issues can be detected and where mitigating policy can be enforced anywhere in the network. "Our partnership with Juniper is yet another step forward in Telefónica's technological transformation strategy. We are making huge advancements towards our goal to secure, simplify and modernize our network to offer differentiated services that greatly enhance the customer experience. 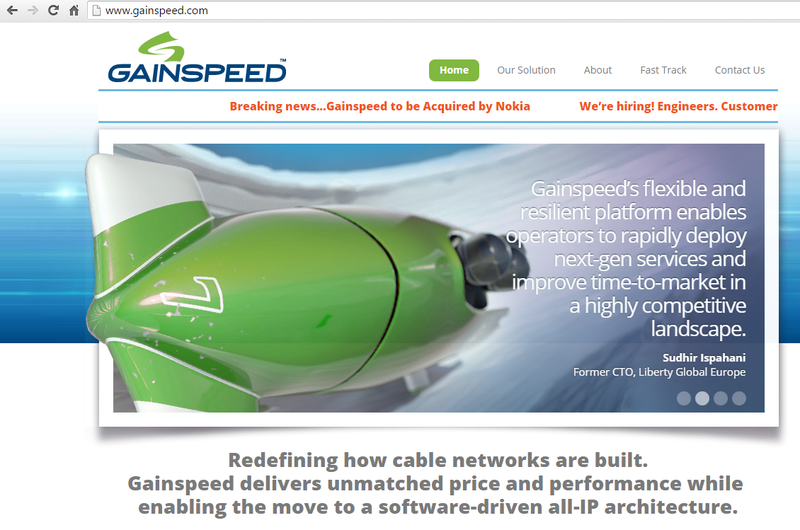 We partnered with Juniper for its proven capability to deliver end-to-end solutions, services, innovative technologies and strong leadership," stated Javier Gavilan, Planning and Technology Director, Global CTO, Telefónica. 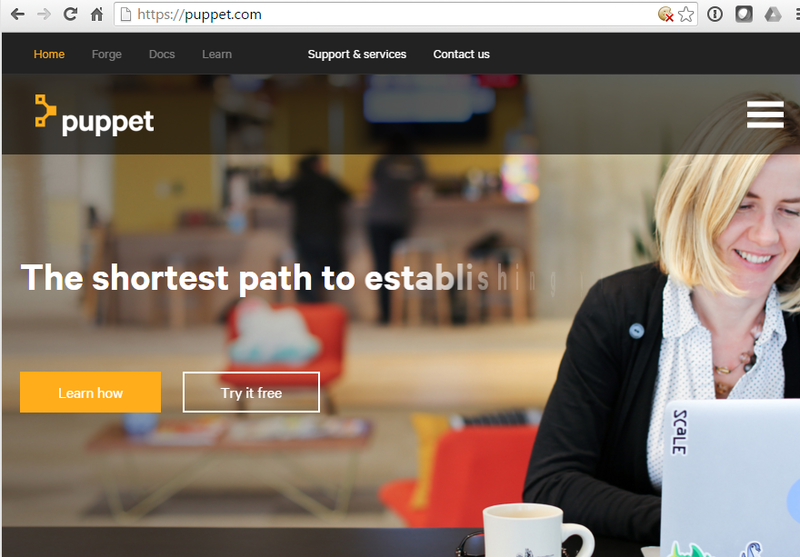 Puppet announced the appointment of Sanjay Mirchandani as chief executive officer and a member of the board of directors, replacing founder Luke Kanies, who will remain a strong advocate for the company as a member of the board. Mirchandani joined Puppet in May as the company’s first-ever president and chief operating officer. He previously served as corporate senior vice president and general manager at VMware for Asia Pacific and Japan. Before this, Mirchandani held several management positions at EMC, including CIO of the company’s IT organization. He also led the company’s Global Centers of Excellence, emerging markets and international development initiatives. Prior to EMC, Mirchandani held several field-based senior management roles at Microsoft over an 11 year period. 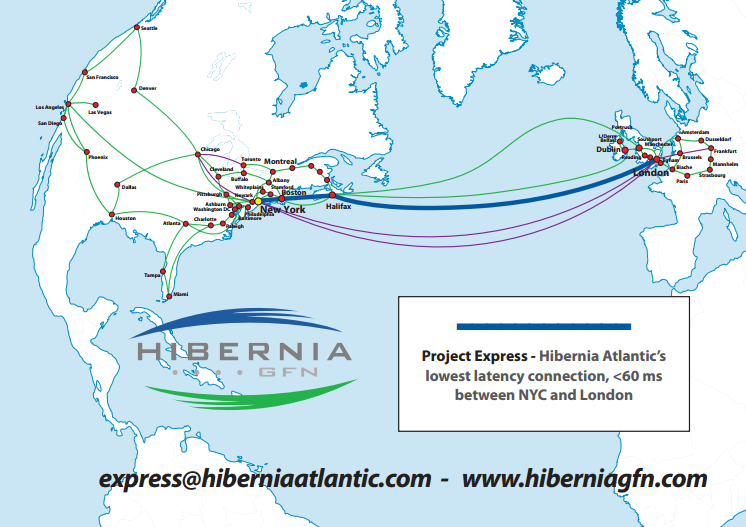 Hibernia Networks has expanded its global connectivity service aimed at the financial sector to include low-latency connections to Moscow, Dubai and Mumbai. 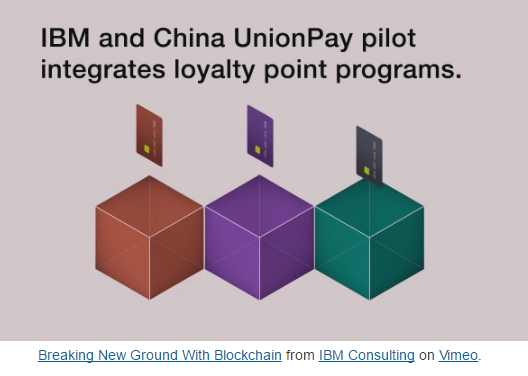 IBM will implement a blockchain solution to support a loyalty bonus points exchange among multiple banks in China. 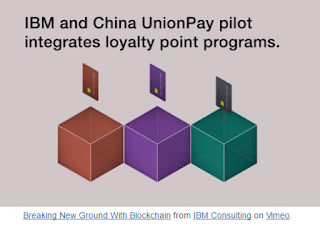 The project with China UnionPay E-payment Research Institute will enable consumers to exchange loyalty bonus points between any of the banks they do business with. Currently, credit card bonus points cannot be freely exchanged among different banks, so many bonus points go unused because of strict bonus points policies or a limited selection of goods for exchange.